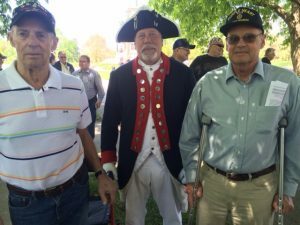 Vietnam Veterans Recognition Day was again held this year at the Iowa Vietnam Veteran War Monument on the State of Iowa Capitol grounds. 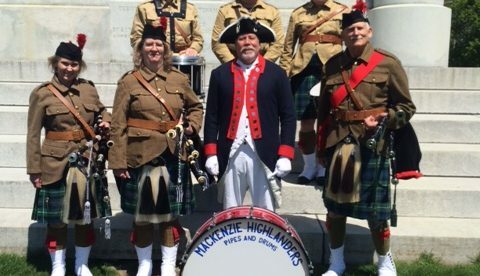 This year The MacKenzie Highlanders Pipe and Drums open the ceremony with their beautiful music. Brigadier General Jodi Tymeson, Executive Director of the Iowa Department of Veteran Affairs announced the addition of the name of James Steven McGough to the wall. The Monument is dedicated to the Iowans who served during the Vietnam era. Inscribed on its face are the names of 869 Iowans who lost their lives during- or as a result of- the conflict. Member of the Iowa DAR have a special awards program to honor Vietnam veterans and their immediate families. 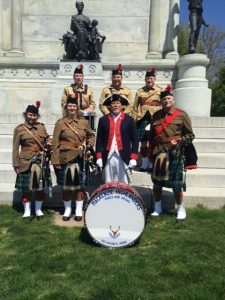 The Iowa SAR Honor guard was proud to be their in support of veterans, their families and organizations like the DAR that honor both.